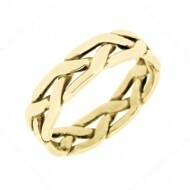 Completely handmade narrow width three-strand plait ring, made from 18ct gold containing 5% rare Welsh Gold. 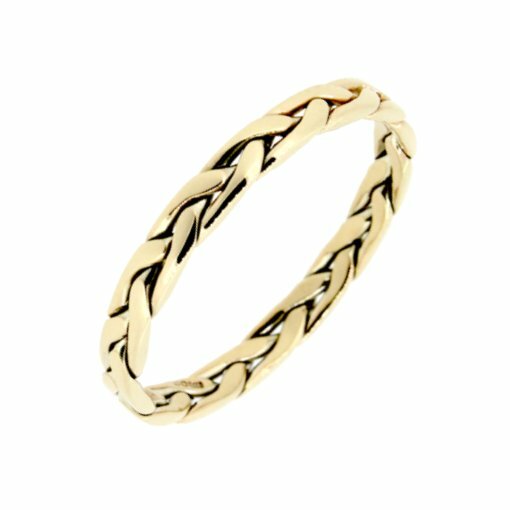 Each ring is handmade personally by Kelvin, painstakingly plaiting individual strands of gold together before forming into the beautiful plait design. 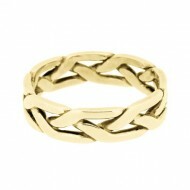 These rings are made from a guaranteed 5% mixture of Welsh Gold. You can read all about our Welsh Gold, and our history as one of only 3 jewellers originally licensed to work with this very rare material. SKU: 1372. 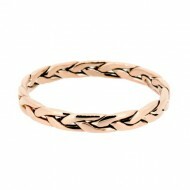 Categories: Welsh Gold, 18ct Welsh Gold, Wedding Rings, Plait Rings. Our 3 strand plait design has proved to be our most popular over the years. 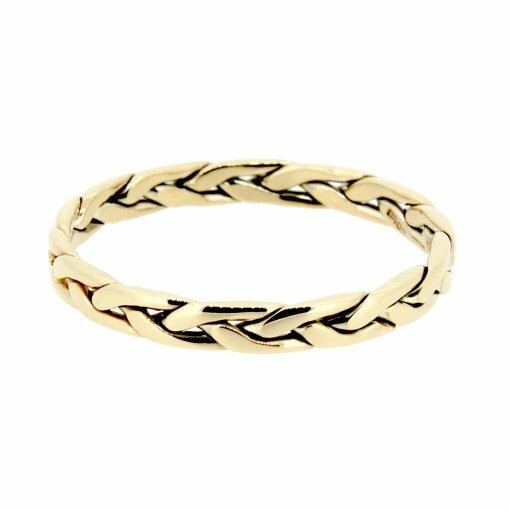 Each ring is handmade personally by Kelvin, carefully plaiting individual strands of 18ct gold wire together before flattening down to make the beautiful plait design. After forming into a ring and soldering, the rings are hand polished and buffed to a perfect shine. Created for many happy couples over the years as wedding rings, Kelvin’s plait rings have been delivered to many far flung corners of the world. These rings are made from a guaranteed 5% mixture of Welsh Gold. You can read all about our Welsh Gold, and our history as one of only 3 originally licensed to work with the rare material. The narrow plait ring is approximately 2.5mm thick.